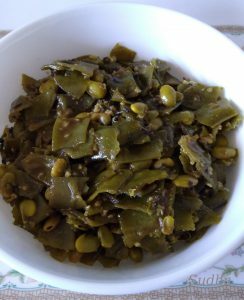 Papdi is Indian Flat Beans (also called as Val Papdi). 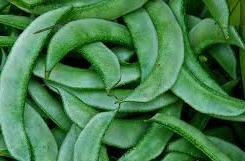 These are Light green colour pods (photo attached). 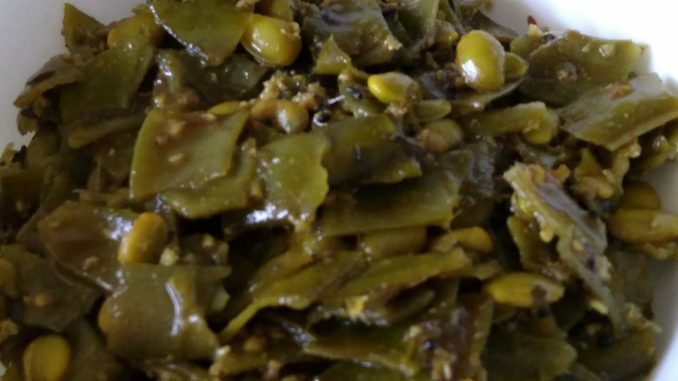 Papdi pod as well as bean inside are eaten (unlike Matar / Green Peas where we only use peas and throw away the pod). This is an easy, non spicy, quick and tasty recipe of Papdi. This is no onion, garlic recipe. 1. Wash Papdi. Remove strings on both sides of the pod and break it into 1 cm long pieces by hand. You have to do this by Hand because when you break papdi, you can see small strings on the sides, you need to remove them. 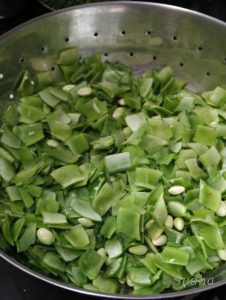 Keep the beans along with Papdi pieces. 3. Heat oil in a pan on medium flame. 7. Add tamarind pulp, jaggery, goda masala / kala masala, chilly powder, grated coconut, chopped coriander and salt. 8. Cook covered till Papdi is soft. 9. This subji does not have much gravy. While cooking add small quantity of water if required.